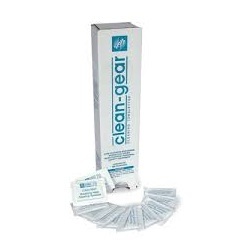 Clean-Gear Towelettes contain our unique quaternary-ammonium solution. This powerful cleanser is alcohol-free and the applicator is made of a high quality cotton rayon blend. 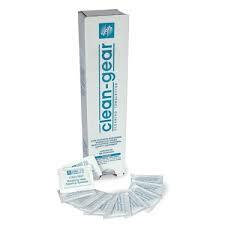 Clean Gear II Towelettes - 1 Dispenser Box of 100 Towelettes.